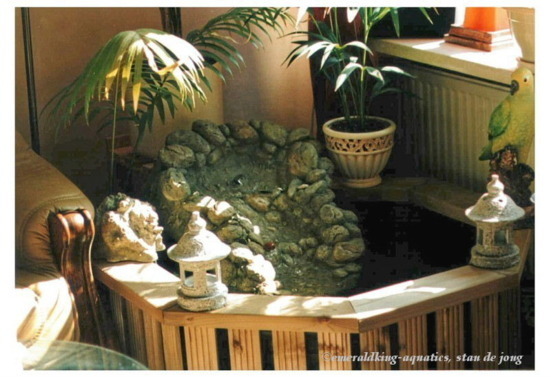 In a former place of mine I had an indoor pond. Basically, it was meant to put it in my backyard. But once I've assembld it in my livingroom, I thought it would be a great idea to leave it in my livingroom. I also created a waterfall. And it actually did add something to the livingroom. For he interior was a combination of tropical and semi-classic influences.